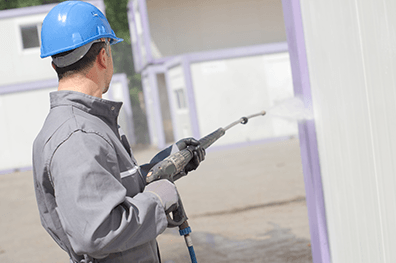 Vanguard Cleaning Systems of Minnesota offers pressure washing (or power washing) services for our existing contract cleaning customers and other businesses. Periodic pressure washing protects your property investment and improves the appearance of your facility. What type of Structures Can Be Power washed? What surfaces can be power washed? Power washing cost is based on the specifics of your project.